The 1974 - 1975 - 1976 - 1977 Camaro dash trim parts section offers you about any part you need for your Camaro. 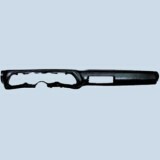 Both new and used GM we have nearly every part available for the dash. Shop below for everything from complete dashboard kits (upper and lower) to the specific knobs and parts you need to get your Camaro looking great again! This is a new reproduction center dash vent for 70-78 Camaro with Air Conditioning. This is a new reproduction dash gauge lens for 70-81 Camaro. This is for just the clear lens, not any of the case. Replace your scratched and sun faded lens with a fresh clear reproduction lens from Fbodywarehouse. This is a new reproduction dash lens assembly for 70-81 Camaro. For use on Camaro with gauges, this reproduction dash assembly includes the gauge lens and black plastic mount. Great way to bring life back to your gauge cluster! This is a set of 2 rubber glove box bumper inserts for 1970-1981 camaro and trans am. This is a complete dash mounting screw set for 1970-1981 Camaro. 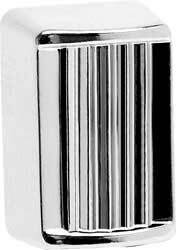 This is a replacement glove box insert for 1970 - 1981 Camaro without AC cars only. This is a replacement glove box insert for 1970 - 1981 Camaro with AC. This is a front defroster duct for 1970-1981 Camaro and Trans Am with AC. This unit connects to the top of the inner heater core box and driects the air up to the cowl vents to defrost the windshield. Unit is used GM in great shape. This is a new reproduction dash for 1970-1978 Camaro. This dash is made from urethane to prevent warping like the original fiberglass units. Dash had the original grain texture and the correct stitch looking seams. Unit includes Fbodywarehouse Dashboard mounting kit + replacement cowl mounted clip set! Available in both with AC cars and NON AC cars, and available in several colors. Please choose your color and style when purchasing from the drop down boxes. Replacement Dash Bezel LIGHTS / LIGHTER markings for 70-81 Camaro. Available in Black Font. 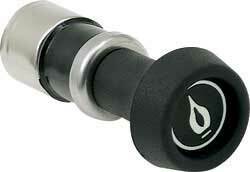 New replacement windshield wiper switch knob. 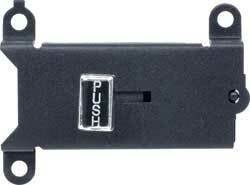 New replacement windshield wiper switch for 1969 - 1972 Camaro models. New replacement 1970 - 1978 Camaro head light switch pull knob. New replacement cigarette Lighter for 1970 - 1978 Camaro. New replacement gauge housing for 1970 - 1980 Camaro Available for both full gauges and also dummy light cars. New replacement Camaro glove box door for 70-81 models. This is a new replacement lower dash board section for 70-81 Camaro. This is a new lower dash board section for the under steering column area, ashtray, and heater controls. This is a new left hand side lower dash vent pod housing for 70-81 Camaro. We are the only company in the industry to offer a FULL upper and lower dash board for the 70-78 Camaro! This is a set of new replacement factory style Radio Knobs for 1970 to 1978 Camaro. This is the heater and air conditioing control panel knobs and drivers. USed GM in excellent shape. Replace your rusted unit with this one! 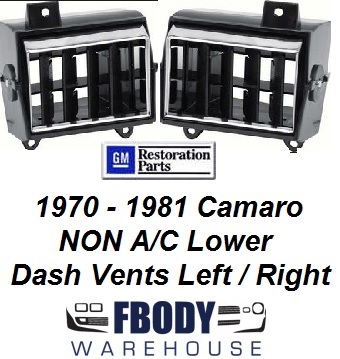 This is the newly released lower dash vents for AC cars 1970 - 1981 Camaro. 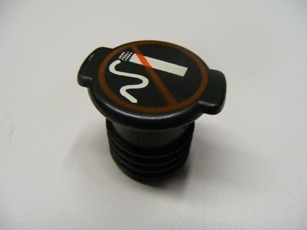 Camaro Trans Am all years No Smoking Cigarette Lighter Plug Cover. 1969 - 1978 Camaro Dash Pad mounted A/C vents for the Air Conditioning Center Vent. Sold as a pair these units replace your broken or damaged units. This is for 1970 - 1981 Camaro and Firebird / Trans Am models. 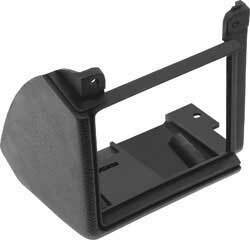 Includes windshield slide mount bracket and adhesive. Premium quality with original black frame and black textured backing. Mirror has the day / night flipper like originals. This is the first correct true reproduction released to the market place!! 1970 - 1981 Camaro Trans Am Glove Box Door Lock Assembly NEW! This is a NEW glove box lid lock and key assembly for 1970 - 1981 Camaro Trans Am! Each kit comes with the case and hook pre-assembled, the lock cylinder, and two pre-cut keys for the cylinders! This is a GM 1970 - 1981 Camaro Glove Box Door. We have various styles available in the block letters or the cursive script, and various years. This is a used GM Camaro Glove box swing arm. This screws to the side of the glove box door and prevents it from opening too far. This is for the dash board mounted passenger side glove box. This is a complete dash mounting clip set used to secure the upper dash pad to the cowl metal panel between the dash pad and the windshield. Correct reproduction clips for use with the new replacement OER upper dash pad. This is the newly released lower dash vents for NON AC cars 1970 - 1981 Camaro. 1970 - 1981 Camaro glove box striker new reproduction unit in great shape. This is a 100% complete replacement under dashboard replacement courtesy light wiring harness. This includes both the full wiring harness as well as the under dash mounted far left and right bulb holders. Units fit 1970 - 1981 Camaro models. Great plug-in accessory from Ron Francis Wiring that positions two lamps under corners of the dashboard. Controlled by turning the headlight switch knob and /or door jamb switches. Special sockets / brackets and bulbs included. 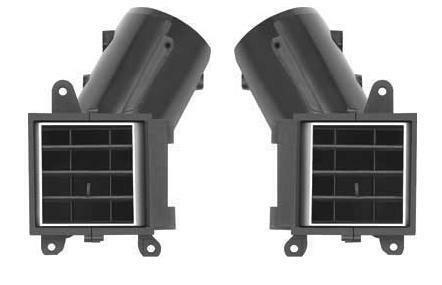 This is a pair of the dashboard mounted center air conditioning vent used on 1970 - 1978 Camaro models. The studs slip through the dash pad and these clips slide on to them along with the spin nuts which are also included. Not reproduced and sold stand alone. GM nice shape units install and go. Excellent condition TRUE GM lower dash board section removed from a 1978. WIll fit all 1970 - 1981 Camaro models. Unit is factory light blue can be redyed to any factory color. Proper radio spacing for the 1978 - 1981 factory radio. Fasten seatbelt light is intact and includes the glove box striker. Radio section is completely intact. 1970 - 1981 Camaro Front Dashboard Speaker Complete GM Nice! This is a stock GM 1970 - 1981 Camaro front speaker including the brace onto the underside of the dashboard cowl panel. Unit is good shape the speaker itself should be replaced but the brace and wiring lead out are included as is the mounting hardware. This is a new replacement glove box liner retainer strap for use on 1970 - 1981 Camaro. This unit attaches to the lower dash section at the glove box and wraps the glove box liner insert. It then bolts into place and secures the liner into place. NEW replacement! For use on all models including cars with and without factory installed air conditioning. Correct reproduction part to bring you Camaro back to how GM intended it to be.